Either I’m an infant or you guys aren’t playing right. You don’t have to play the dreidel game and only the dreidel game. 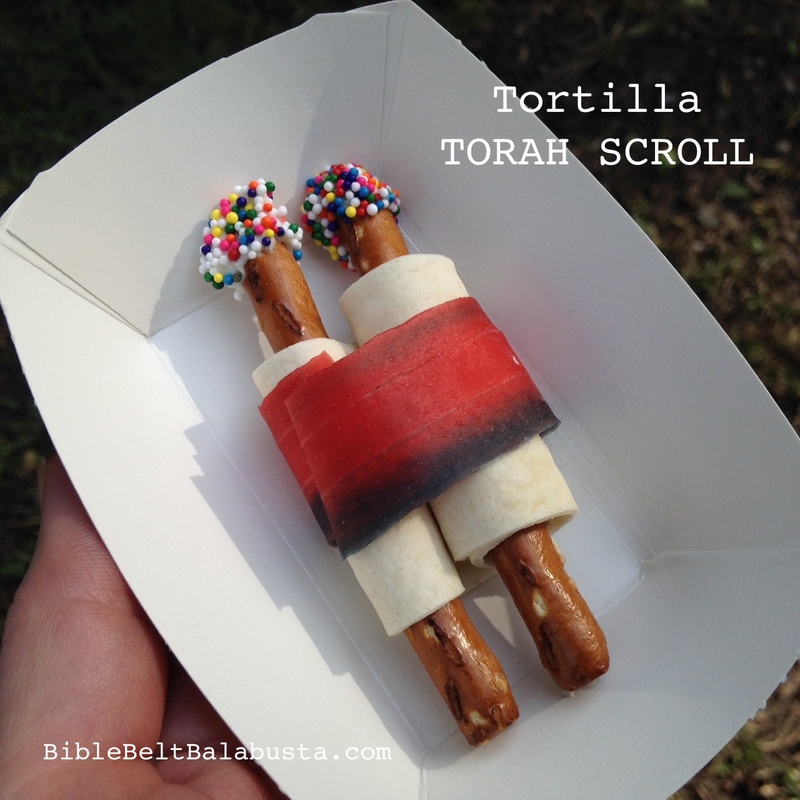 I wrote about kid-created instant edible Torah Scrolls years ago, back when I could get away with a lot more sugar in the classroom. And, I’ve already talked about the holiday and why an edible Torah Scroll can be a good enrichment activity for Simchat Torah. When kids explore a real sefer Torah as model and special guest, they understand what they are re-creating and why. Bugles snacks from General Mills are the perfect mini-shofars. 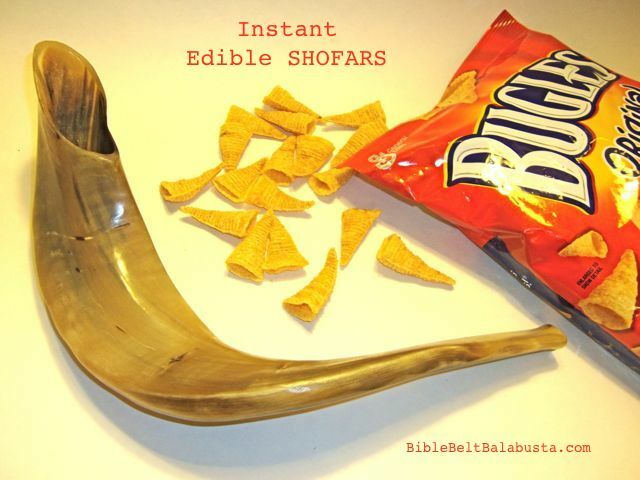 Please see this brief article at Kveller.com, in which I list the merits and uses of Bugle shofars and lament the recent loss of kosher status. If you don’t keep strictly kosher, you are in luck! 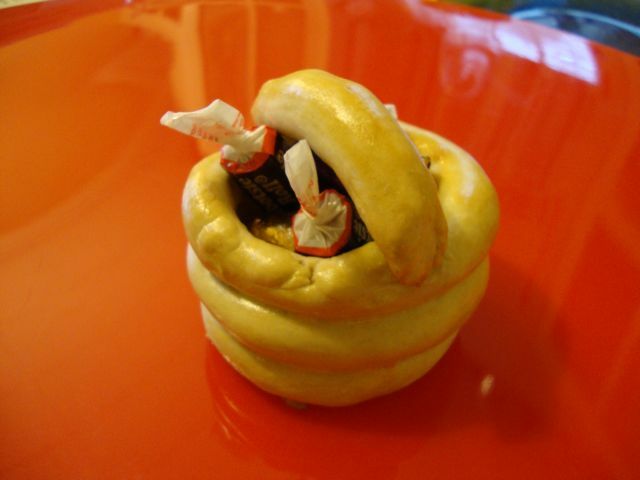 You get teeny, tasty shofar snacks for Rosh Hashanah! If you like the article, please mention it on the Kveller comments immediately below it. I would love to hear from you. Shana Tova, and bon appetit! 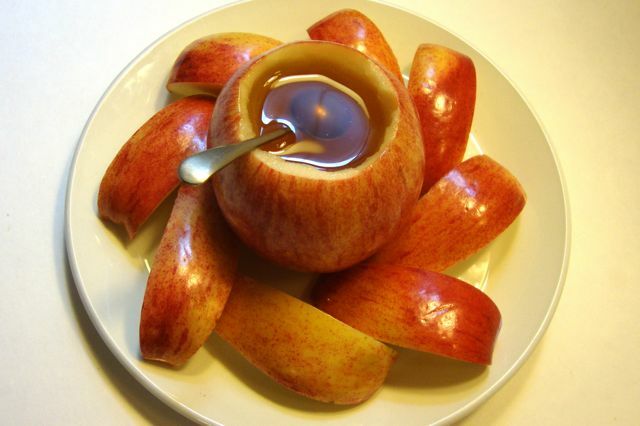 A version of this post was first published at Kveller.com: Edible Honey Bowl. This article supplements my Kveller.com piece about making Shavuot Mt. Sinai Muffins with kids. And hey, the Jerusalem Post picked it up on JPost Weekly Schmooze!